A letter from a senior Assam Social Welfare Department official to the Centre has brought to light how crores of rupees were siphoned off during the erstwhile Congress tenure by allegedly creating 14 lakh children and around six lakh women “ghost” beneficiaries. A report appearing in the The Telegraph stated that the revelation triggered a controversy after Union Women and Child Development minister Maneka Gandhi on Thursday cited the 14-lakh figure and directed other States to remove the “non-existing names” from the list of some 10 crore beneficiaries in Anganwadi centres (AWCs). 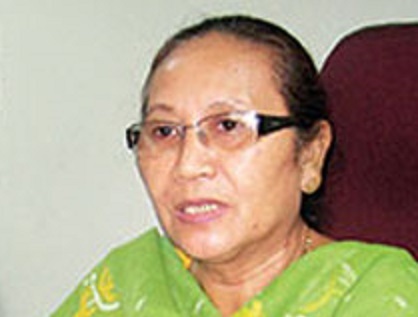 The report further stated that the Assam Social Welfare Minister Pramila Rani Brahma on Friday said she was not aware of the letter sent by the Director of her department SS Meenakshi Sundaram on August 10 last to the Secretary to the ministry stating the large number of “ghost” beneficiaries. “In the last two years, about 14.13 lakh ghost children beneficiaries have been eliminated from the database and this, as per current rate, would involve a saving of a minimum of about Rs 1.1 crore per day which would otherwise have leaked out of the system,” the letter said. Sundaram said after he joined office in September 2016, he noticed that there were two databases of beneficiaries based on targeted population (according to Census) of about 44,44,475 children and beneficiaries according to attendance. The department collected data from all the 230 Integrated Child Development Services (ICDS) schemes during September and October, 2016, involving data up to Anganwadi-level and found the number of actual children was 35, 62,673. “On detailed verification it was noticed that allocation made on the basis of targeted population was not accurate and the difference between the targeted population and the number shown as enrolled population was actually of ghost beneficiaries, which was 8, 81, 802,” the letter said. The Directorate also conducted detailed head count of beneficiaries on a daily basis for about 25 days between April and May this year. “On the basis of this exercise, the number of attendance in the AWC across 230 ICDS projects came down to about 30, 30,677 children,” the letter said. Sundaram said not only “fake” children but 5, 83,672 “fake” women beneficiaries were eliminated since 2016.